Purported Oppo smartwatch charges in five minutes! It looks like Chinese vendor Oppo will be joining the smartwatch arms race (arms - how appropriate!) by introducing one that wields a special trick! According to insiders, who also claimed the device's launch will correlate with that of the Oppo Find 9 flagship smartphone, the smartwatch takes a whopping five minutes to fully charge. Yes, that's it - plop it on the charger (or maybe it's a cable - we don't know!) and a five minute jolt gets this baby running for the day. By the way, we've been quite impressed with Oppo's VOOC fast charging tech which prevails in the company's smartphones, so this five minute charging rumor might just end up being real! A smartwatch's battery is tiny enough to get filled up quickly by a VOOC charger. 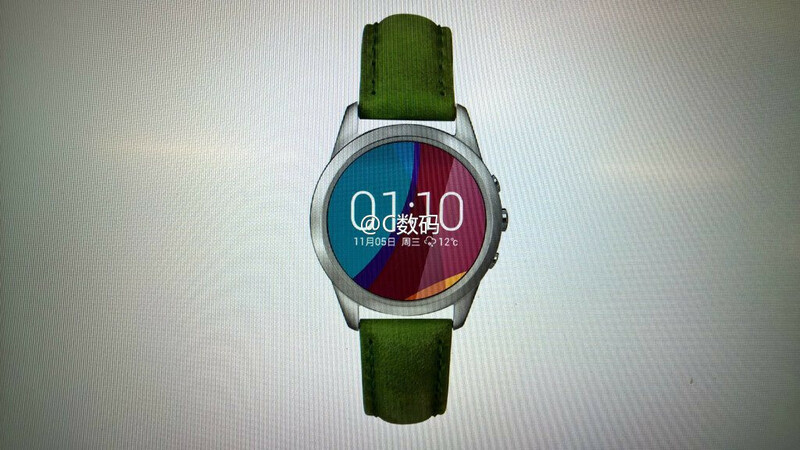 However, we don't know whether the Oppo smartwatch will be an Android Wear device, or it runs a proprietary OS. For all we know, the Android Wear standard is strictly limited to wireless charging, and its current implementation doesn't cut it for Oppo's five minute charging ambitions. We'll see soon enough, as the Oppo Find 9 is poised to make a big debut this year. For all we know, it will be a Snapdragon 810-powered, 4GB RAM having 5.5-inch beast of an Android. And can't even last more than a day. It's revolutionary! Innovation! Oppo is the most innovative Chinese manufacturer IMO.